My husband and I have been obsessed with the two Gordon Ramsay cooking shows, Masterchef and Hell's Kitchen. 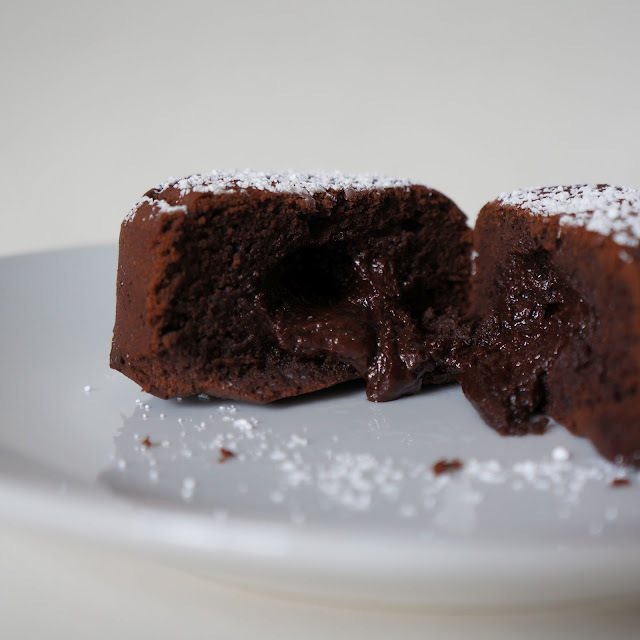 This past week on the show Masterchef, some of the contestants had to make a molten chocolate lava cake. 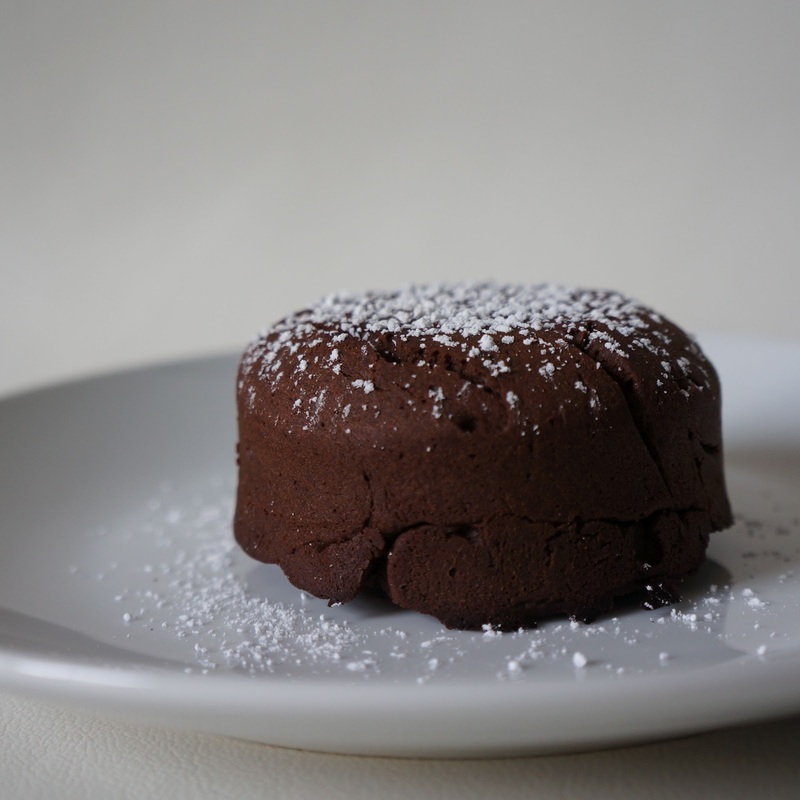 I then realized that I have never made this dessert which is a combination of a chocolate cake and a souffle. It's actually quite simple, the recipe I used only has 6 ingredients and it took no more than 30 minutes to make. Unfortunately, I slightly overbaked my cakes and the centers did not ooze out like lava but the cake was still delicious. With this I used unsweetened chocolate and the cake is very "dark." I would recommend using semi-sweet chocolate if you prefer a sweeter dessert. Coat 2 ramekins with oil and place on a cookie sheet. Microwave chocolate and butter in a large bowl on high for 1 minute until the butter is melted. The chocolate won’t be melted and that is ok. Whisk the butter with the chocolate until it melts. Stir in the icing sugar until well blended. Whisk in the egg and egg yolk. Bake for 13-14 minutes until the sides are firm and the centre if soft. Let stand one minute. Invert cakes on dishes and top with powdered sugar, whipped cream, or vanilla ice cream, etc. The molten cake looks wonderful.